Chris Jericho's legacy and impact on pro wrestling are undeniable. It's only a matter of time until he's a part of WWE's Hall Of Fame. But who would he want to induct him? 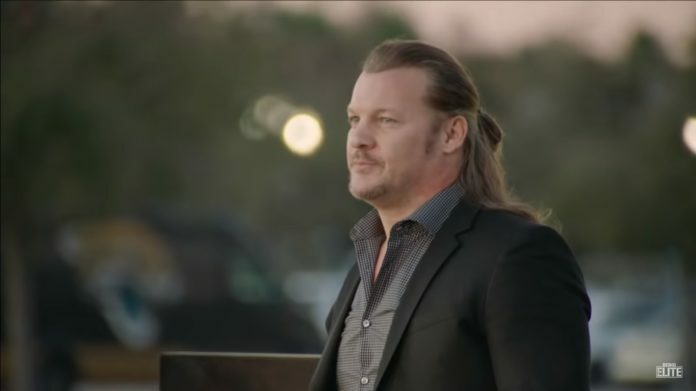 Being a 9-time WWE Intercontinental Champion, multiple time Heavyweight Champion, the first Undisputed Champion, and a Grand Slam Champion, it’s only a matter of time until Chris Jericho enters WWE’s Hall Of Fame. During a recent Q+A session hosted on his podcast, Talk Is Jericho, Chris Jericho would accept a wide range of fan questions. Some key takeaways from the discussion included his most memorable and emotional matches, as well as sharing who he would like to induct him into WWE’s Hall Of Fame when the time inevitably comes. “I used to think that Shawn Michaels would be good, but he has done it before,” Jericho explained. “I think, honestly, Kevin Owens would be good and I’ll tell you the reason why. He grew up as a fan of mine and then I ended up doing this amazing angle with him. We had great chemistry,” Jericho said. With his recent signing to All Elite Wrestling and his appearances with New Japan Wrestling, where he won the IWGP Intercontinental Championship, it’s clear that there’s still plenty left in the tank for pro wrestling’s renaissance man. The Hall Of Fame may just have to wait for Y2J.